Summer months are for the beach, and fall is festival season, but February is dedicated to all things Gullah. The monthlong Gullah Celebration showcases the food, art and music of the Gullah culture with events across Hilton Head Island. This year marks the 23rd annual event organized by the Native Island Business and Community Affairs Association. The “Arts Ob We People” exhibition and sale kicks off at 10 a.m. Feb. 1 at the Art League of Hilton Head Gallery at the Arts Center of Coastal Carolina, with an opening party the night before. It’s followed on Feb. 2 by the popular Ol’ Fashioned Gullah Breakfast, featuring traditional Gullah favorites like stewed oysters, shrimp, fried fish and grits; and Freedom Day, held at the historic Cherry Hill School and offering opportunities to learn about Mitchelville and the freedmen who called the self-governing town for freed slaves home. Other popular Gullah Celebration events include the Taste of Gullah culinary festival, the Sweetheart Ball and the Gullah Music Series. For more information, call 843-255-7303 or go to www.gullahcelebration.com. Freedom Day: National Freedom Day was established in 1948 by President Harry Truman to mark the anniversary of the day President Abraham Lincoln signed the 13th Amendment to the U.S. Constitution, outlawing slavery, on Feb. 1, 1865. Explore Mitchelville and learn about its residents. Free, but donations are accepted. 11 a.m.-1 p.m., Cherry Hill School, 209 Dillon Road, Hilton Head Island. Ol’ Fashioned Gullah Breakfast: Enjoy a home-cooked traditional Gullah breakfast featuring stewed oysters, shrimp in a savory Lowcountry gravy, fried fish, hot buttered grits and biscuits, all coordinated by renown Gullah chef Louise Cohen. 8 a.m.-noon, Cherry Hill School, 209 Dillon Road, Hilton Head Island. Family & Friends Day: Traditional and contemporary Gullah songs, followed by a reception with samples of authentic Gullah food. Free. 7 p.m., First African Baptist Church, 70 Beach City Road, Hilton Head Island. Gullah Music Series Featuring the Voices of El Shaddai: Celebrate and honor the spiritual thread that binds today’s Gullah community with their African ancestors, featuring the well-known Voice of El Shaddai. Free. 7 p.m., Queen Chapel AME Church, 114 Beach City Road, Hilton Head Island. Taste of Gullah: Enjoy classic Gullah dishes like okra gumbo, conch stew, fried shrimp with Gullah seasonings and classic barbecue favorites. While you eat, enjoy performances by local entertainers including traditional dancers, musicians and storytellers. $12 per plate. 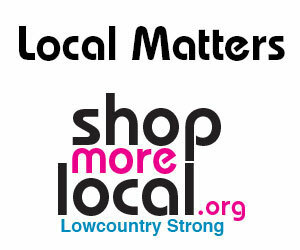 Noon-3 p.m., Arts Center of Coastal Carolina, 14 Shelter Cove Lane, Hilton Head Island. Sweetheart Ball: Dance the night away to music by Stee and the Ear Candy. Tickets include a Lowcountry buffet; a cash bar will be available. $65 per person or $650 for a reserved table of eight. 7-11 p.m., The Northridge Event Venue, 435 William Hilton Parkway Suite Z, Hilton Head Island. “Hilton Head Island Back in the Day: Through Eyes of Gullah Elders”: A feature-length documentary featuring Gullah elders, the descendants of Mitchelville’s freedmen. They share personal stories about their communities, agriculture, upbringing, education, food, language and life on Hilton Head Island after the bridge was built in 1956. $7. 7 p.m., Coligny Theater, 1 North Forest Beach Drive, Hilton Head. “Gullah Institute Presents: The Impact of the Great Migration on Gullah Culture”: Hear from historians, authors and artists, including a fireside chat with Dianne Britton Dunham and Anita Singleton Prather, on the impact of the Great Migration — from 1916 to 1970 — on the American South. There also will be a special presentation of culture and community awards to honor outstanding leaders and supporters. $20, includes food and beverages. 4-6 p.m., The Northridge Event Venue, 435 William Hilton Parkway Suite Z, Hilton Head Island. “Soul Food and Friends” Cooking Classes: Learn from celebrity chef Sallie Ann Robinson about traditional Gullah cooking, plus the history of the dishes that are staples in the Gullah community. $40. 6-8 p.m., The Northridge Event Venue, 435 William Hilton Parkway Suite Z, Hilton Head Island. Paint and Sip: Artists from the “Arts Ob We People” exhibit will be on hand to guide you as you paint your own unique masterpiece. Bring your favorite snacks and beverages. $30. 6-8 p.m., The Northridge Event Venue, 435 William Hilton Parkway Suite Z, Hilton Head Island. Gullah Music Series featuring Male Choruses: This installment to the Gullah Celebration’s annual music series features the Male Choruses from Campbell AME Church, First African Baptist Church, Mt. Calvary Baptist Church and St. James Baptist Church. Free. 7 p.m., First African Baptist Church, 70 Beach City Road, Hilton Head Island. Gullah Market: This arts, crafts and food expo features cultural demonstrations, authentic Gullah and African crafts and food for sale, as well as traditional storytelling, music and a celebration of African-American authors. $10 for adults, $5 for children ages 5-12 and free for children 4 and younger. 11 a.m.-5 p.m., Honey Horn, 70 Honey Horn Drive, Hilton Head Island. In case of rain, The Northridge Event Venue, 435 William Hilton Parkway Suite Z, Hilton Head Island. Community Day at the Gullah Market: Experience the ties that bind the Gullah community through praise and worship followed by a community block party featuring a battle of marching bands, bounce castles, the Gullah Rappers and more. Authentic art, food and beverages will be for sale, with proceeds benefiting Beaufort County youth programs. $10 for adults, $5 for children ages 5-12 and free for children 4 and younger. 11 a.m.-5 p.m., Honey Horn, 70 Honey Horn Drive, Hilton Head Island. In case of rain, The Northridge Event Venue, 435 William Hilton Parkway Suite Z, Hilton Head Island. Gullah Music Series Featuring Gospel Classics: This installation in the Gullah Celebration’s music series features St. James Baptist Church Choir and Time 4 Two. Free. 7 p.m., St. James Baptist Church, 209 Beach City Road, Hilton Head Island. Gullah Music Series Featuring Gospel Choirs: Performances by the gospel choirs from Central Oak Grove Baptist Church, First Zion Baptist Church Choir and Campbell AME Gospel Choir. Free. 7 p.m., Central Oak Grove Baptist Church, 161 Mathews Drive, Hilton Head Island.